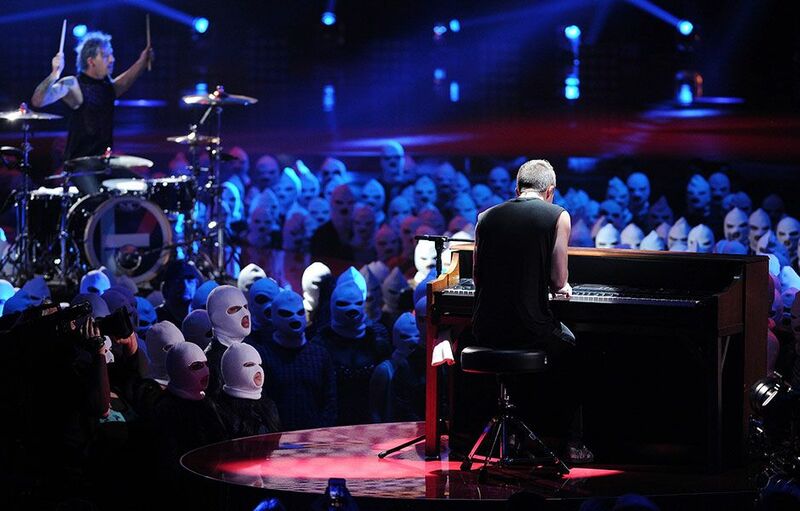 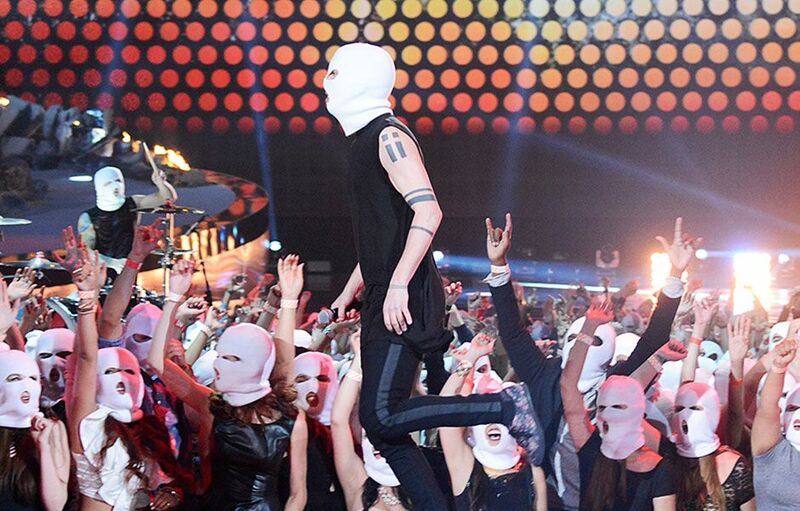 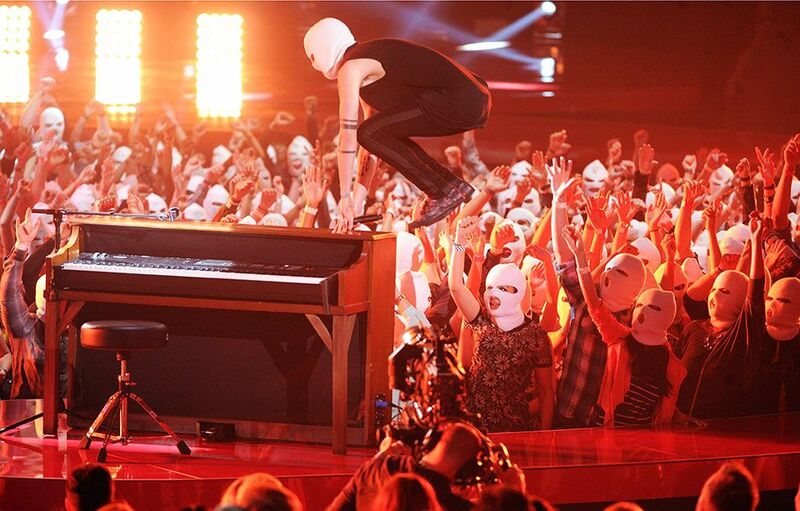 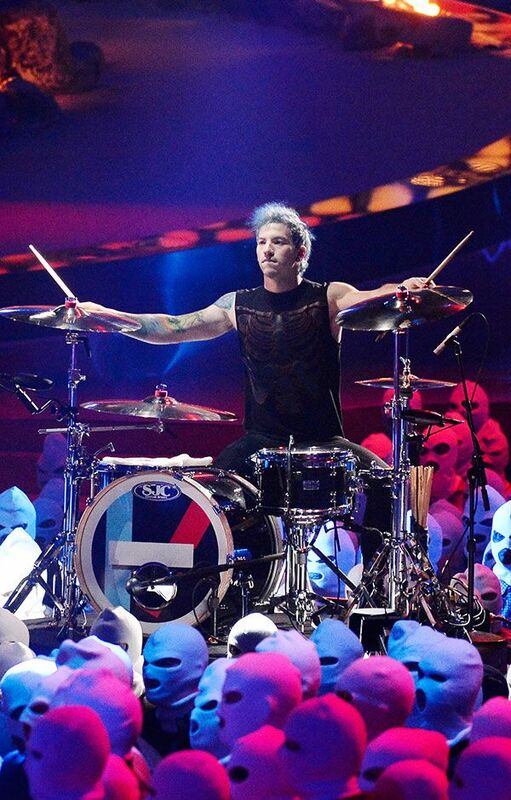 Twenty One Pilots perform 'Car Radio' on stage during the 2014 MTV Movie Awards in Los Angeles. 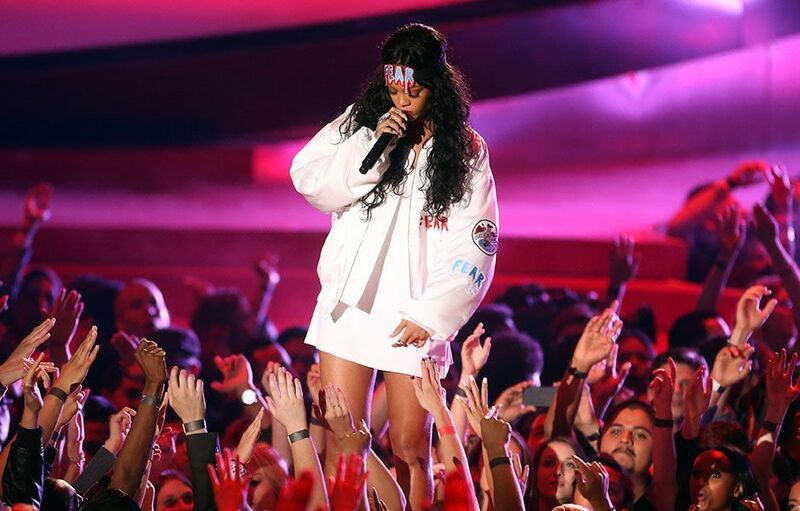 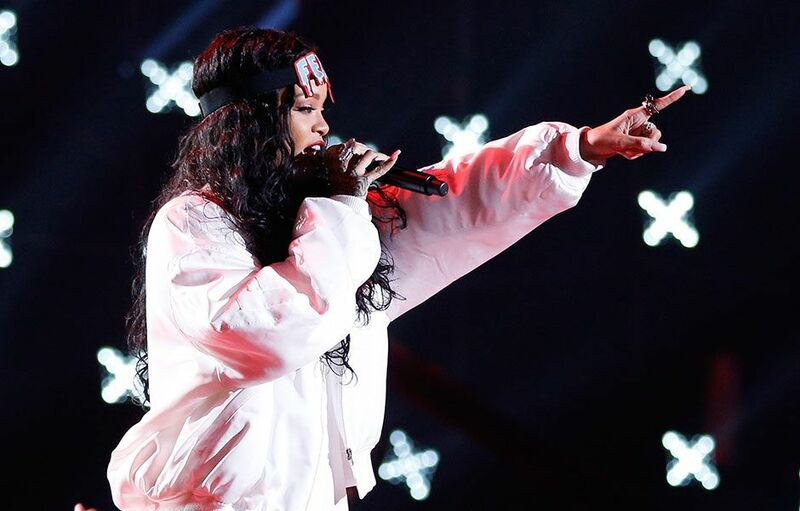 Rihanna performs 'The Monster' on stage during the 2014 MTV Movie Awards in Los Angeles. 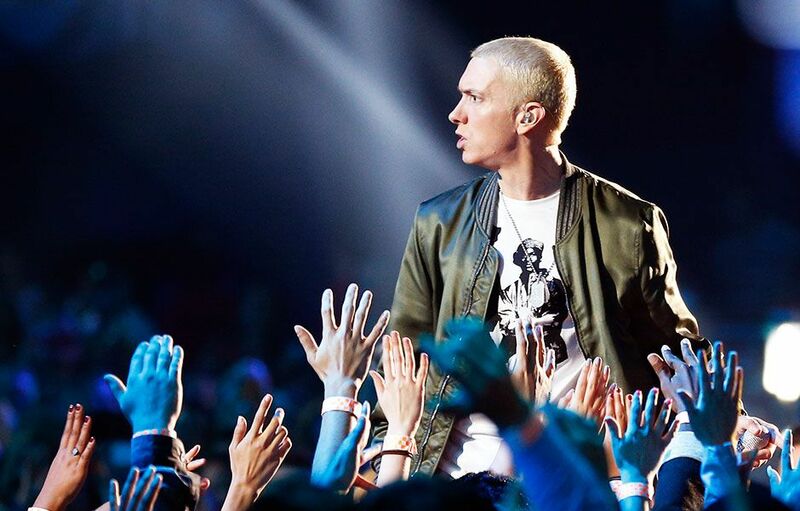 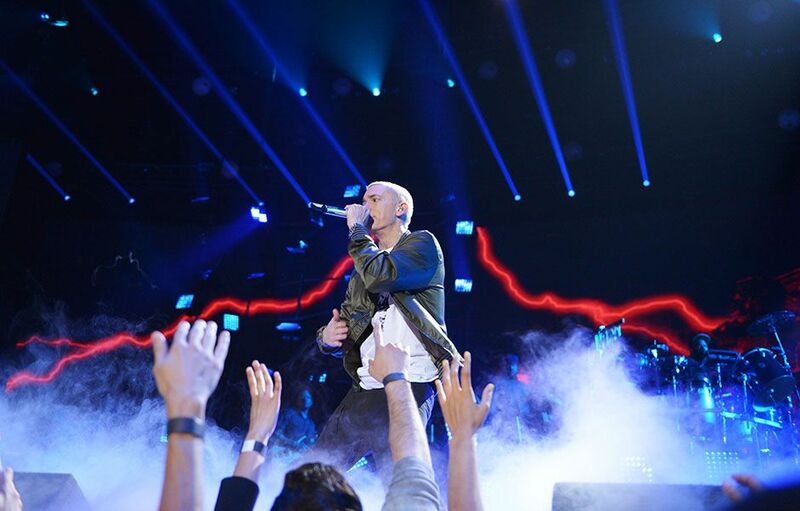 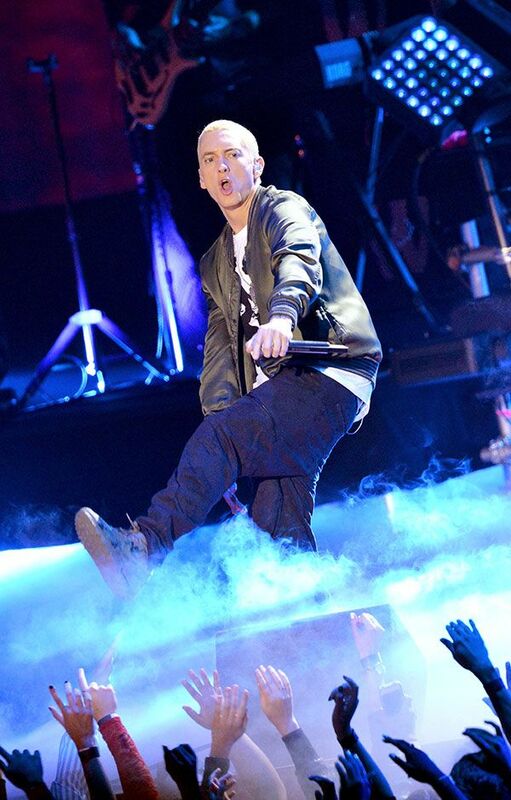 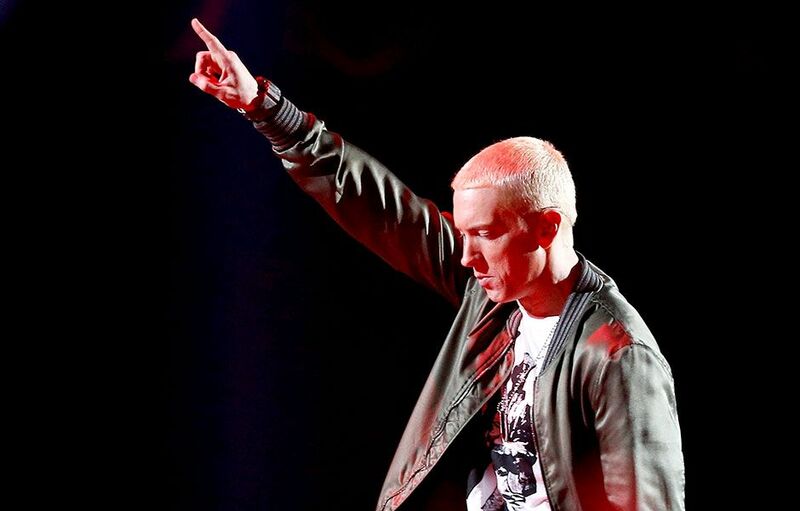 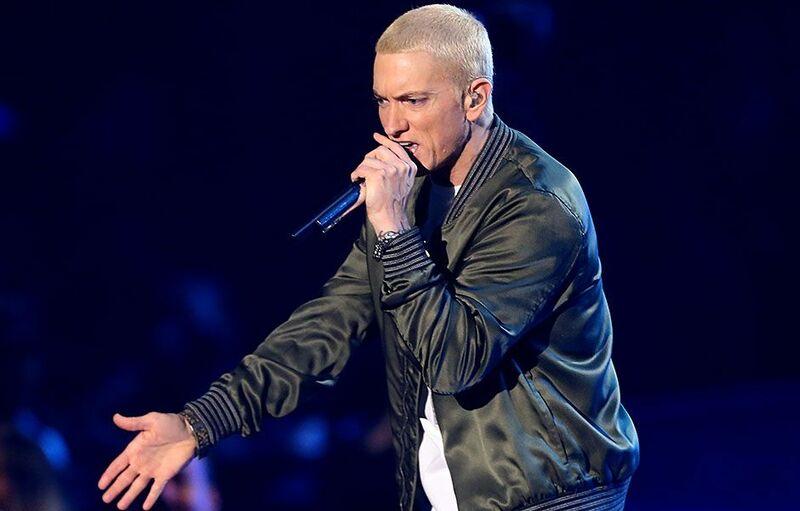 Eminem performs 'The Monster' on stage during the 2014 MTV Movie Awards in Los Angeles. 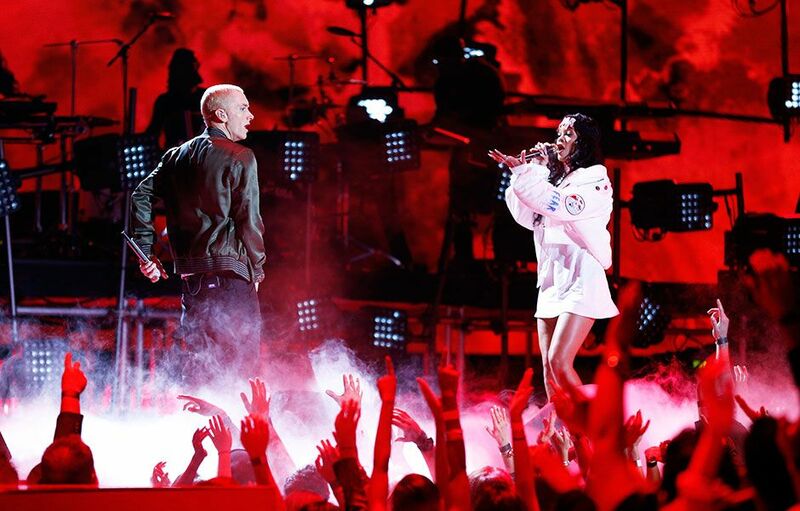 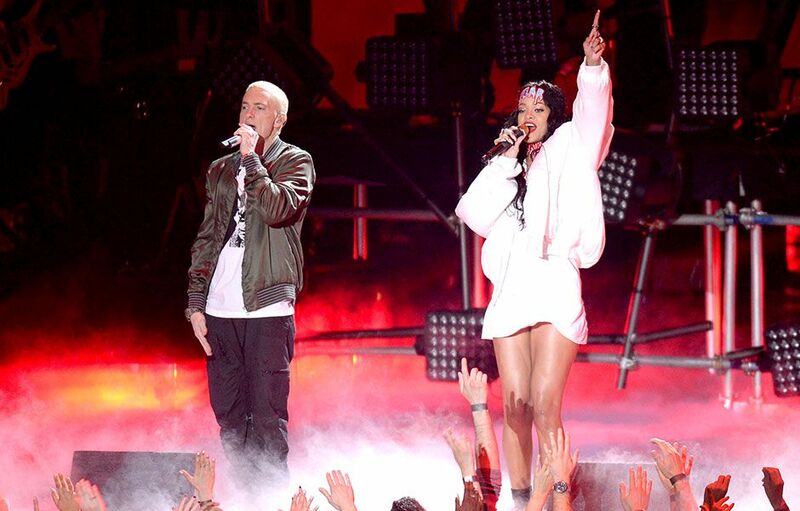 Eminem and Rihanna perform 'The Monster' on stage during the 2014 MTV Movie Awards in Los Angeles. 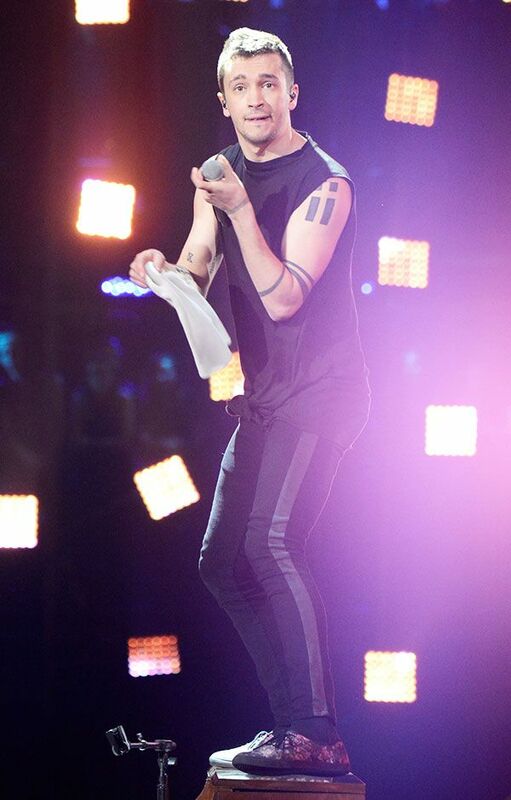 Ellie Goulding performs 'Bleeding Heart' off of the 'Divergent' soundtrack on stage during the 2014 MTV Movie Awards in Los Angeles. 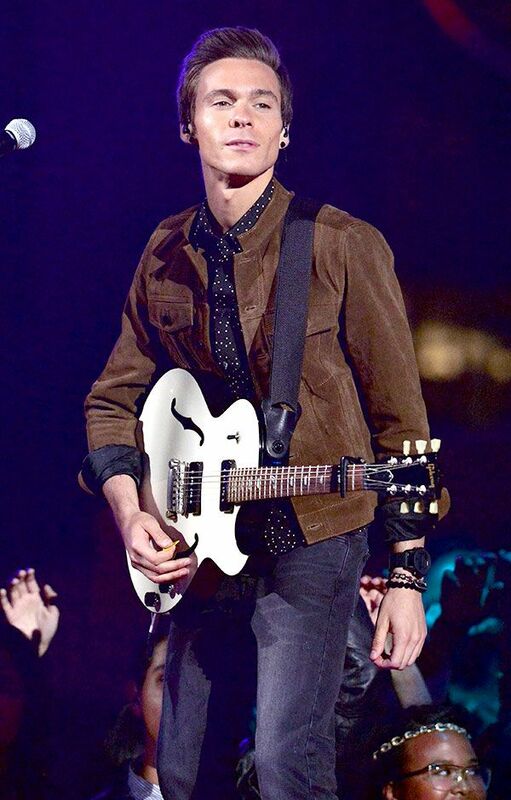 Matthew Koma performs Zedd's 'Find You' on stage during the 2014 MTV Movie Awards in Los Angeles. 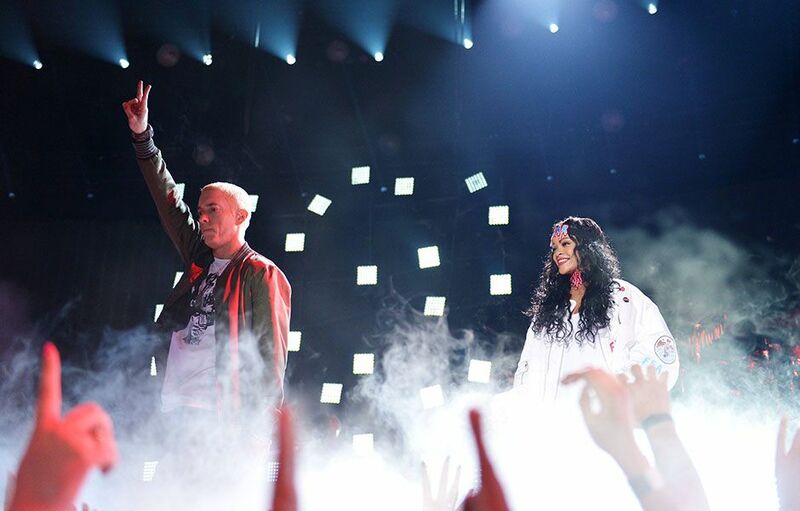 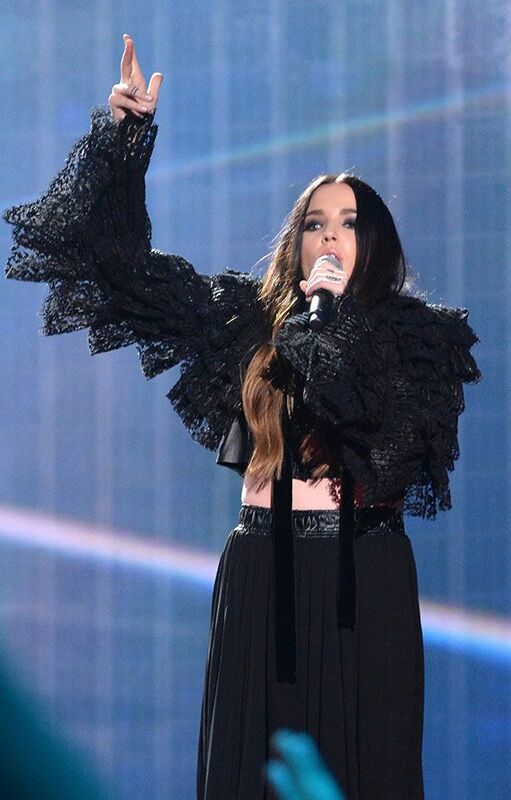 Miriam Bryant performs Zedd's 'Find You' on stage during the 2014 MTV Movie Awards in Los Angeles. 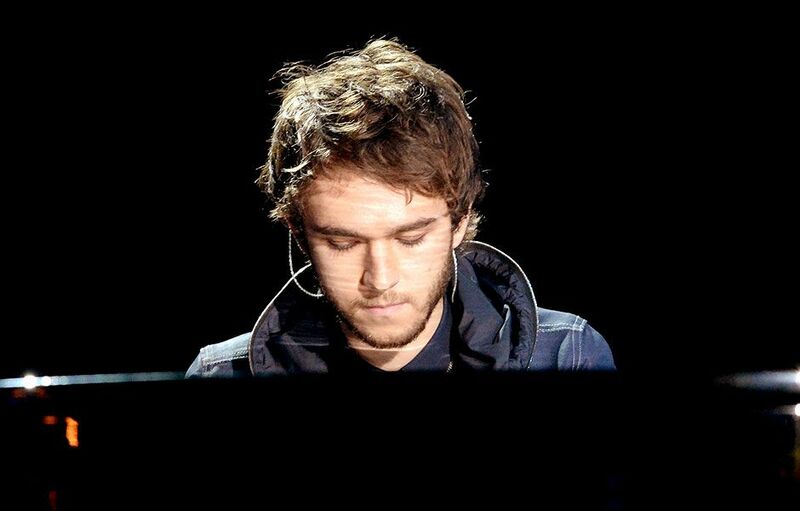 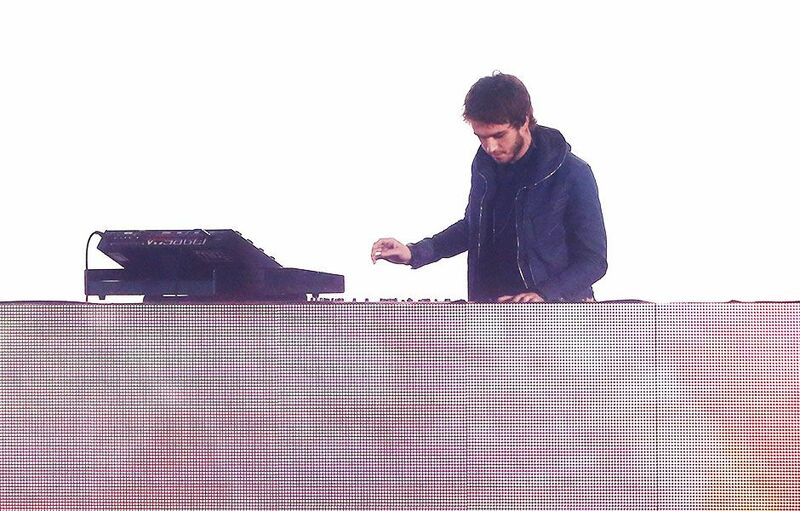 Zedd performs 'Find You' on stage during the 2014 MTV Movie Awards in Los Angeles.